As the region focused on recovery from Hurricane Katrina (Aug. 29, 2005), tourism dropped and the company downsized significantly. As part of The Great River Relief Tour, the NATCHEZ embarked on a “tramping trip,” stopping at cities along the Mississippi River for passenger excursions. 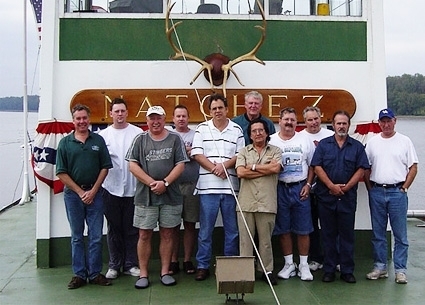 This was an important statement to company employees, the riverboat community and the country that the Steamboat NATCHEZ and New Orleans were resilient and would thrive again.